Consistent volume is not an expectation in most contact center environments. Fluctuations and spikes in inbound calls happen. Sometimes, these spikes can be attributed to events like holidays, sales, or software updates; other times, they can seem completely random. 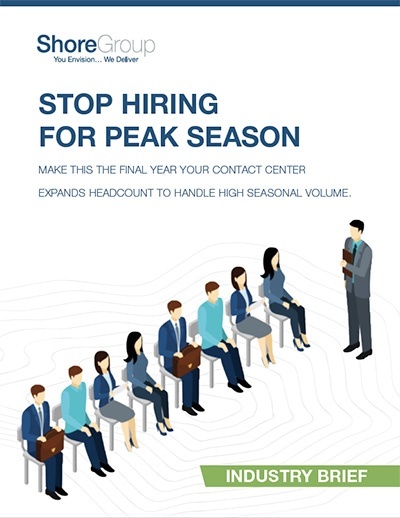 In the past, preparing for peak season would have to include hiring temporary workers to prevent long hold times—increasing headcount won’t solve the problem forever, though. Thankfully, advancements in technology have made scaling contact center environments much easier. Download our brief to learn more!